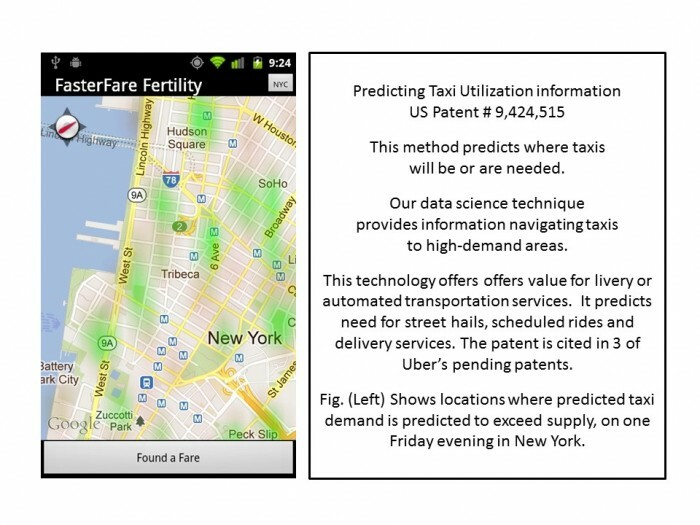 Techniques are described for automatically analyzing contingencies in information predicting taxi demand. This is to generate representative information regarding current or future taxi demand, and for using such generated representative taxi demand. Contingent demand information may be generated for a variety of types of useful measures of taxi demand rates, such as for projecting expected likelihood of finding a passenger at each of several road locations. Generated representative contingent taxi demand information may be used in various ways to assist taxi and livery service drivers plan optimal routes and schedules. The historical and/or recent contingent demand data may be used to generate the representative traffic flow information. This may include data readings from mobile data sensors in the one or more vehicles, data sensors in or near the roads, or aggregate data sources collected from one or more sensors or through publicly available data sets. 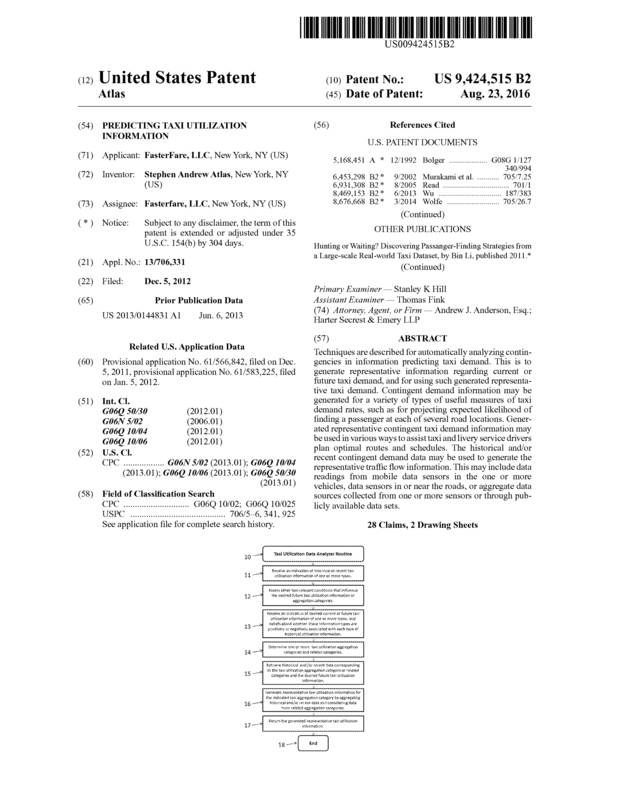 Page created at 2019-04-21 18:27:22, Patent Auction Time.